Get 3 free comics of your choice! But THAT'S NOT ALL! We have special sales, events, and product releases! -Magic The Gathering Open House at 12pm: A new set of Magic the Gathering is releasing the weekend of Free Comic Book Day, so it's the perfect time to learn how to play the most popular card game in the world! Get a FREE deck and learn how to play the game from others in the community! You also get a special foil promo card and other additional product! If you already play, please come help new players learn and you'll recieve the special promos as well! -Pokemon trainer's Academy at 2pm: Detective Pikachu is right around the corner and it looks fantastic! (Seriously, the trailer is amazing - https://www.youtube.com/watch?v=bILE5BEyhdo). In addition to special Detective Pikachu card game product, a NEW set of the Pokemon card game releases the weekend of Free Comic Book Day! What a great time to learn how to play! For just $5 get a deck that you get to keep and learn from our talented staff trainers how to battle with your pokemon. Get extra special promo cards and goodies too! It's a great game for the whole family! If you like it join our leagues Tuesday nights where families come to play to win prizes! 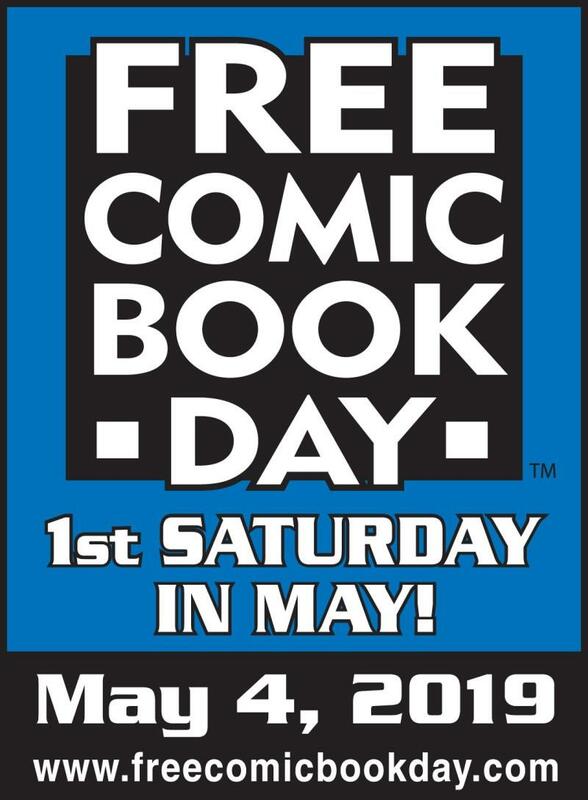 -Cosplay Contest at 4pm: Come dressed as your favorite character for the chance to win a $25 gift certificate to the store, $10 gift certificate for the kids category (age 12 and under). Also, everyone who shows up in costume gets 10% off any merch in the store! We judge based on overall look and the percentage of the costume that was handmade. Sponsored by KuroNekoCon.